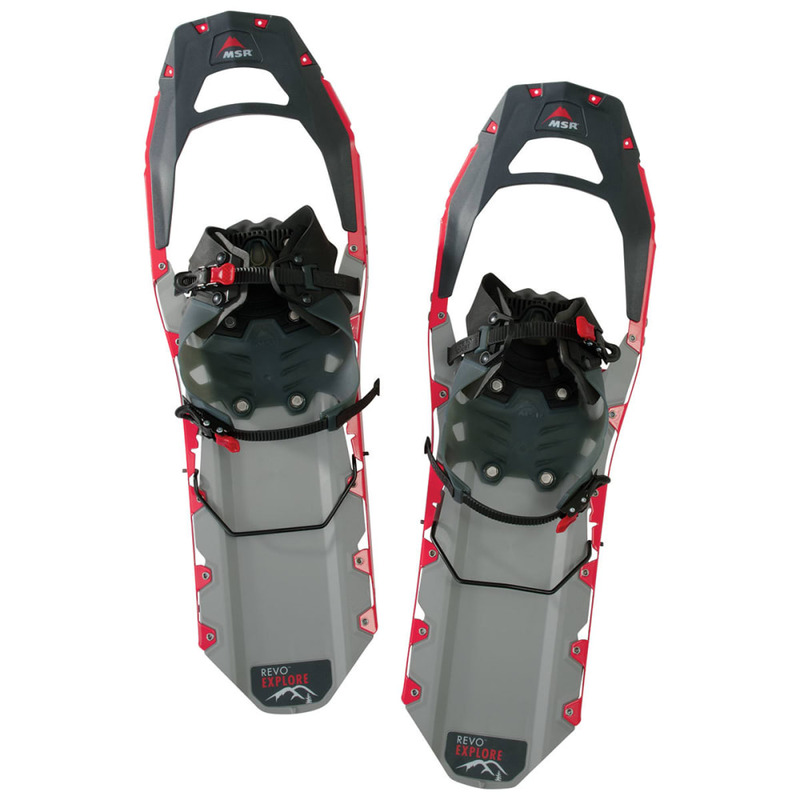 Built upon MSR’s rugged ExoTract™ deck, the Women’s Revo Explore snowshoes bring an unrivaled level of comfort through new HyperLink™ bindings, making them perfect for those tackling all-day, all-mountain explorations. 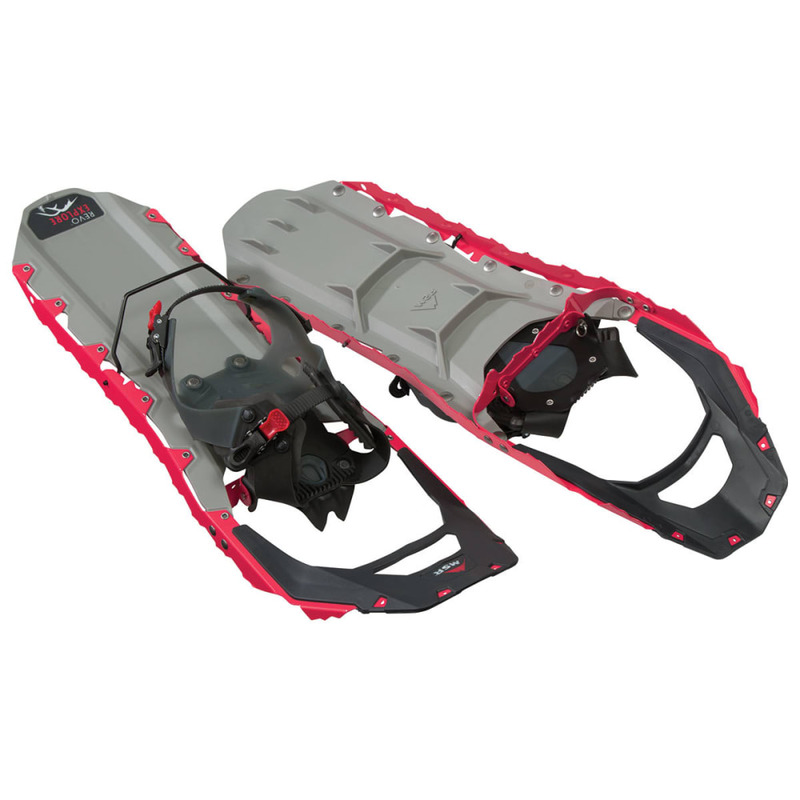 Delivering the same confidence-inspiring performance underfoot as the Ascent series, their cradle binding, built-for-smaller-boots design completely eliminates pressure points. Its fast two-strap ratchet system makes getting in and out for lunch stops a breeze, not to mention making on-the-fly adjustments. Finally, add-on Modular Flotation tails (sold separately) keep you ready for any change in winter’s mood. Weight per pair: 4 lb. Avg. Weight (pair): 4 lb.